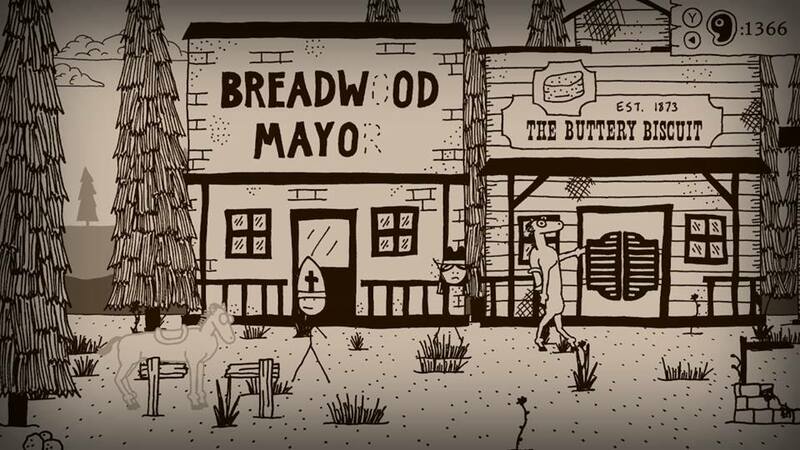 When I first saw West of Loathing at the Nintendo Direct I was very intrigued by it. 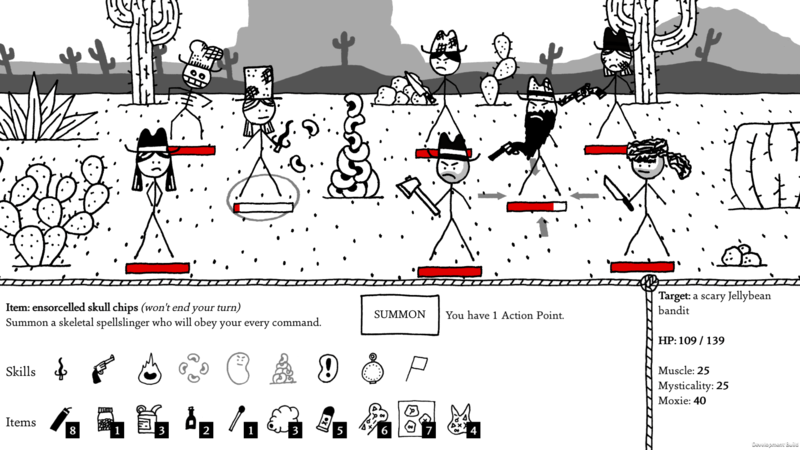 I mean how often do you see a stick figure-based RPG set in the Old West? I couldn’t believe this game flew under my radar when it was released on Steam, but when I got an opportunity to check out the Nintendo Switch version I jumped on it. Let’s see if this one is as quirky and fun as it looks. The story follows your created cowboy or cowgirl as they set out on an adventure in the Wild West. The open world nature of this game means the story is shaped by decisions you make. As you explore you will encounter necromancers, cattle rustlers, aliens, and even some crazy cultists. Each quest is unique and the writing here is amazing. I caught myself laughing out loud many times at just how outlandish the plot was. This is the best example of a comedy game that doesn’t come off cheesy, but genuinely funny. This game certainly has stylized graphics. Characters and enemies are depicted with very simplistic art. 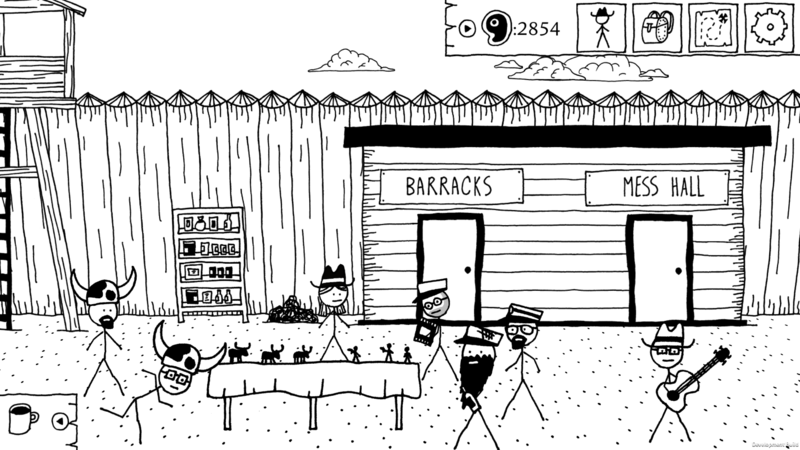 You would think stick figures couldn’t have personality, but this game proves when they’re animated correctly they can have a ton of it. 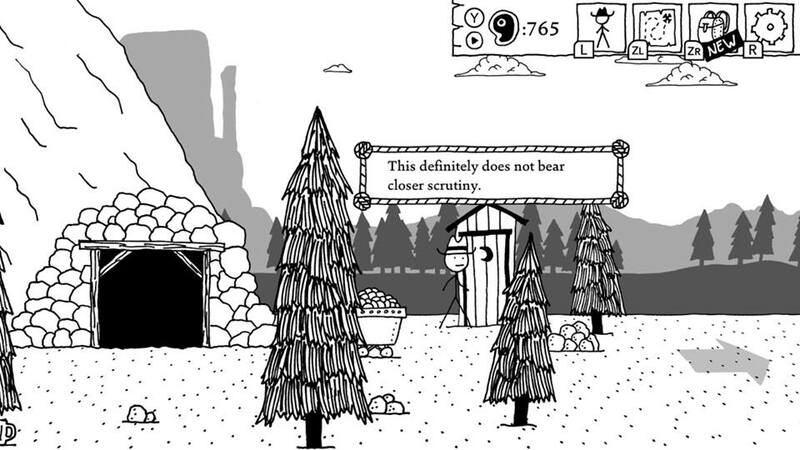 West of Loathing features a ton of different weapons and hats to equip. Each of these have a distinct look and different stats. While some of the melee weapons are cool, the hats are really what sets this apart. You can get fake pope hats, cultist masks, head bands and a whole lot more. These really add to the already over-the-top atmosphere. You can also unlock a nostalgic filter that turns everything from black and white to sepia. The soundtrack sounds like something you would hear in a typical Western film. The country guitars really get you ready for adventure. There are also some great piano tunes being played in the saloons and some other interesting tracks when you run across some of the game’s more colorful characters. The sound effects are very cartoon styled and really add to the overall immersion of this title. Before you begin your adventure into the West you must create a character. You have a few options on appearance but the most important thing here is your class. Just like in a good game of Dungeons & Dragons your class will have a big impact on how you play this game. This ranges from puzzle solutions based on your stats to the way you handle combat. There are three classes to choose from: Cow Puncher, which is your fighter class, Bean Slinger, the mage class, and the Snake Oiler, which can craft potions easier and has serpent-oriented attacks. Now that we have our character created it’s time to leave Boring Springs, your hometown, for high adventure on the trail. The game will recommend you recruit a “pardner” before leaving town. This is your one and only party member in the game. They will help you in combat, and if you choose to solo this game it’s going to be much harder. Once you start moving around on the world map you will discover new locations, have random enemy encounters or maybe even find some random treasure. Locations will consist of dungeons, homesteads, and towns. Like with any other open world RPG you will interact with the various NPCs and take on quests. Completing them will grant you rewards such as items, cash, or maybe even a new perk. Perks work exactly as you would expect, by raising your various stats and resistances. The hat, boots and accessory you have equipped with have a huge impact on your stats as well. You will have to be mindful of these when taking on quests as some will require a certain level of resistance, moxie, or another stat to complete. If you cannot raise your stat high enough with equipment you can always eat food and drink potions for a boost. These boosts will last until you sleep, but you can only eat and drink so much in a day. Combat is turn-based and using your special moves will consume AP. You will have to plan out some battles carefully in order make it through. You will also have a slew of consumable items at your disposal. Using these will not consume AP, so sometimes spamming these will get you out of a tight squeeze. While the combat is great, I feel the difficulty scaling on it is a bit off. You will leave one area where you are handling yourself pretty well only to be destroyed in the next one. It’s not a huge deal to die since the first two times it will actually boost your stats by giving you the angry perk. The third time you will be taken back to an inn and lose a day. While the feeling of being underleveled usually doesn’t last very long in each area, a little more balancing wouldn’t have hurt here. 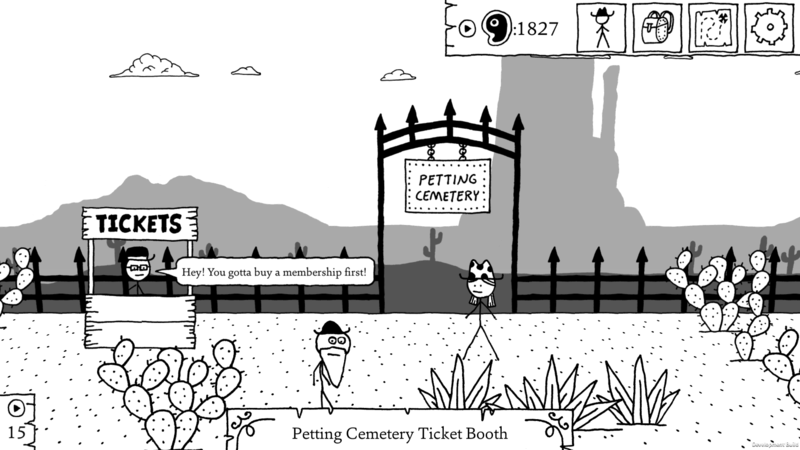 I have to say, West of Loathing is one the most fun and unique games I’ve played in a long time. The combat is fun, the writing is hilarious, and the art style and animation are fantastic. I’ve rarely seen a game where you can tell there was thought behind each design decision and it all blended together perfectly. This one will set you back about about $11 on the eShop and it took me around eight hours to complete it, but you can get a lot more out of this. There were tons of quests I could’ve done and every choice you make can have an effect on the ending you receive. I feel this is a must own title for Switch owners. It’s one of a kind, and this is the best kind there is!